It’s getting cooler here in Kitakyushu, which is signaling the autumn season. 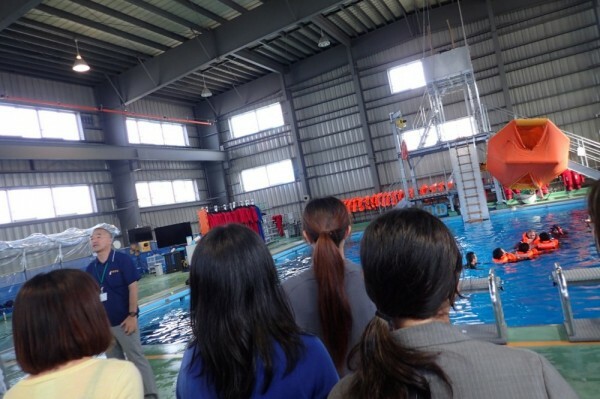 24 new agents who have started working for Kyushu District Transport Bureau toured NSTC on September 3. 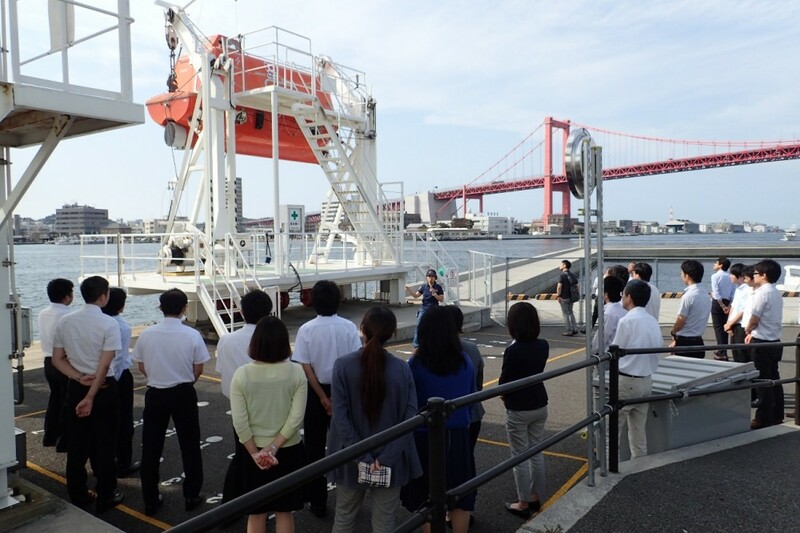 It was beautiful sunny day, and they enjoyed learning about our Lifeboat facility which was picturesque with beautiful red bridge next to the facility. 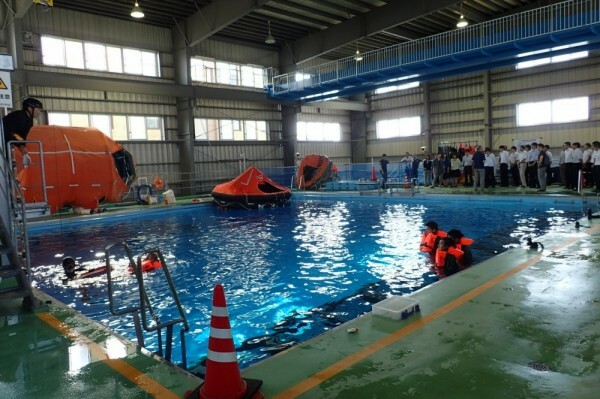 They could also have a chance to see Sea Survival Training as there were STCW training in practice at the time. The fundamental of Transportation Business is to enhance and ensure the safety, and we are very happy if we could deliver a message of NSTC’s approach toward security commitment to the newcomers of the bureau. Thank you very much for visiting us from a long distance and taking time to learn about our principle. We are looking forward to seeing more of you, soon.